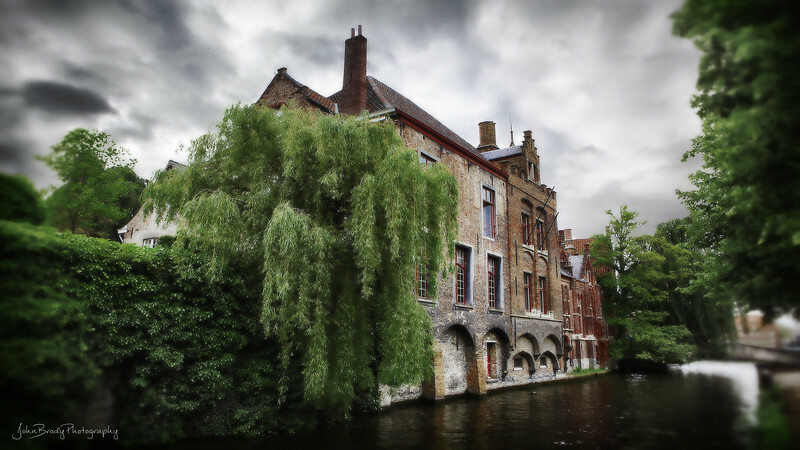 More Info FYI - Here's another one of the 500 to 1000 Year Old Houses on the Canal on a Gloomy Day in Bruges in Belgium - As is often the case, the bruges weather was pretty dismal, gray being the sky color for the day, but the mansions and hotels managed to shine regardless. Once you see the city/village, you begin to understand why it's called the Venice of the North. Even though it's many miles away from the ocean, it was commerce Capital of Europe 10 centuries ago, the 12 to the 15th centuries being referred to as The Golden Era for the city. Nature and good luck had provided them with the river that gave them ocean access, and they built an elaborate System of canals to take advantage of it. An interesting city to say the least.